It was only supposed to be a four-hour drive to arrive at Yllas, Finland from Kiruna, Sweden. But in typical ‘A Cruising Couple’ style, we got hopelessly lost along the way, largely due to driving without any sort of GPS system. Heck, we didn’t even have an old-school roadmap. So four hours turned to eight, partly because we drove to the wrong town, partly because we were driving on roads coated in thick sheets of ice. And if there’s anything growing up in North Carolina taught us, it’s that we don’t know how to drive in winter weather conditions. So we were obviously very ready to be in Yllas when we finally arrived there. But what we were ready for we really didn’t know. 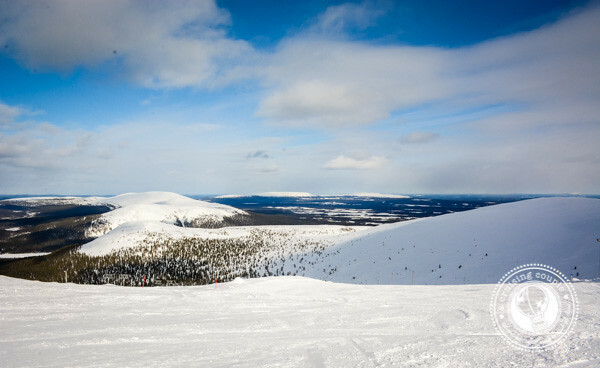 Yllas is one of Finland’s oldest ski resorts, located deep in the arctic of Western Finland. Tourists have been coming to the area since the 1930s, back when reindeer carriages were still the primary mode of transportation and a hotel meant the spare bedroom in a local’s home. 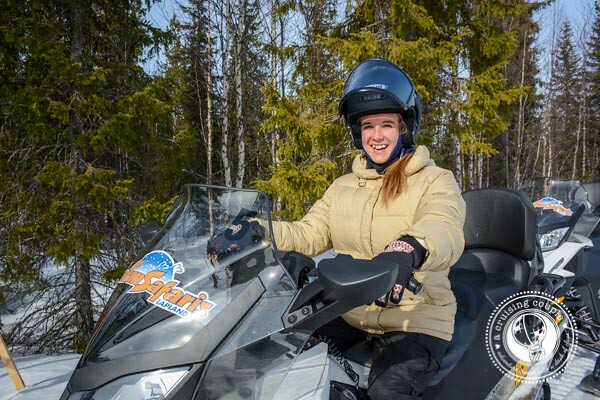 Today the region is comprised of two small villages, Yllasjarvi and Akaslompolo, together boasting a whopping population of around 750 people. Despite its long history with tourism, Yllas remains a bit of a hidden gem, largely unheard of outside of Finland. 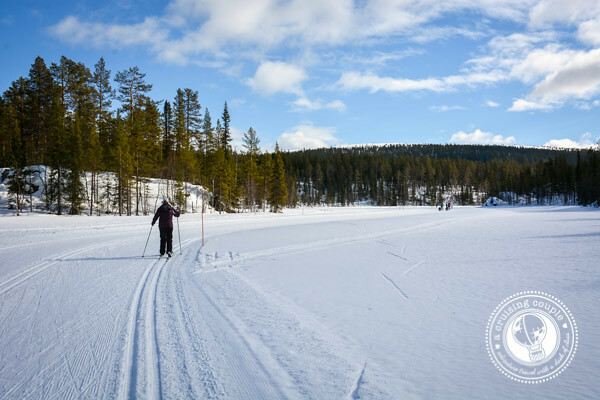 With 330 kilometers of tracks, Yllas has one of the most extensive cross-country skiing networks in all of Finland. There’s something for everyone—even if you’re as ridiculous on skis as we are. It took us six hours to ski the same distance that most Finnish senior citizens can cover in two, but we loved every moment of it. (Or at least the moments that weren’t spent on our back sides.) 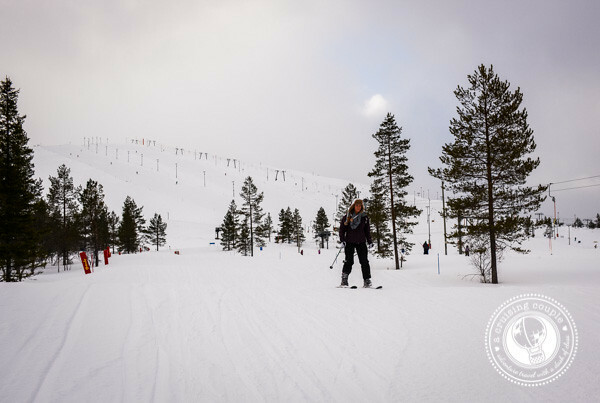 You can ski from café to café and enjoy the view of the fells along the way, or opt to ski straight into the Pallas-Yllas National Park. I’m not a big downhill skier. I blame it on the fact that I don’t know how to do it properly, which means I inevitably spend the entire day snowplowing down the bunny slopes. Dan is a great snowboarder though so he thoroughly enjoyed skiing Yllas, home to the longest downhill slope in Finland. In contrast to the ski resorts we’ve frequented in the past, Yllas is very open, with few trees along the slopes. This provides for some really stunning views from the top. If you prefer to get off-the-beaten-path, there are plenty of off-piste ski opportunities on the surrounding fells, too. I never thought I would say that porridge could be enchanting. But in Yllas, it sort of is. 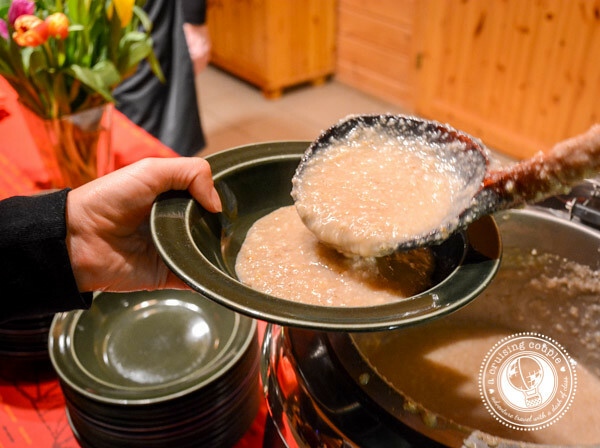 Porridge is a Finnish staple, and locals once had a tradition of skiing to the local mill every Wednesday to pick up grain for the week’s porridge necessitites. Nowadays there is a bus that drops off skiers at the mill. They don’t pick up any oats, but rather ski back down to Akaslompolo, where a night of customary Finnish dancing and slow-cooked porridge awaits. It’s kind of odd to be eating porridge at a dance hall at midnight, but it certainly has its charm—especially when said porridge is doused in butter and sugar. 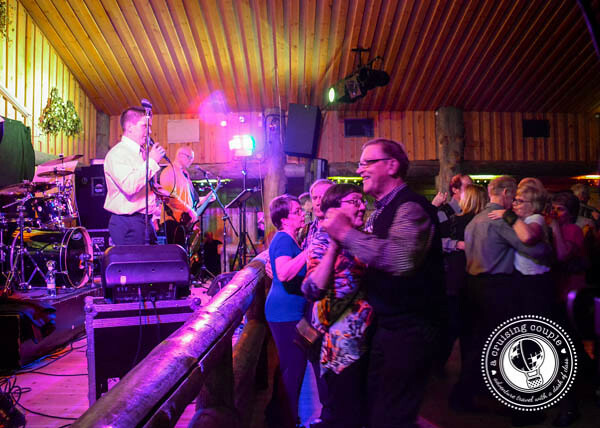 Whether you’re a porridge fan or not, it’s worth the trip out to observe the traditional Finnish dancing. Just be prepared to say yes should someone ask you to participate—it’s considered very rude to turn someone down or dance to anything less than two songs. 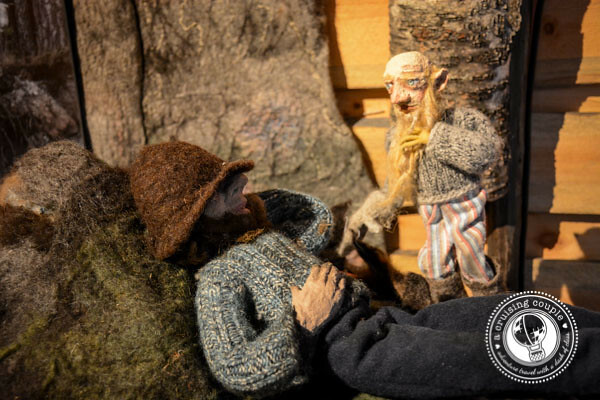 A visit to the Karilan Navettagalleria Art and Culture Café is not only a great opportunity to enjoy reindeer soup, but also one of the best places to learn about Finnish Fairy Tales. The owner is a wealth of information herself, but she also has an informative exhibit attached to the restaurant. It was here that we learned every marsh, stone, lake, spring and tree was once thought to have a haltija, like an elf or gnome spirit, which took care of it. Humans were trespassers on their natural world, but as long as they behaved themselves, guests were usually welcome. Snowmobiling is absolutely terrifying. It’s also a lot of fun. 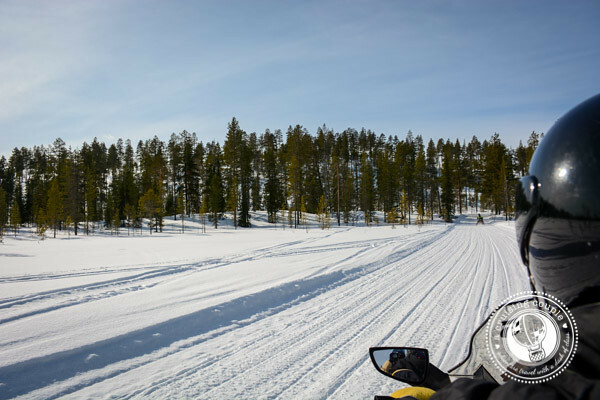 Yllas has a large network of marked snowmobile tracks suitable for all levels. I’m not sure I want to drive my own vehicle again, but I’m definitely glad I gave it a try. How locals drive them with entire families and sledges attached, I have no idea. We were very fortunate to meet Joanna from the Kellokas Visitor Center on our first day in Yllas. 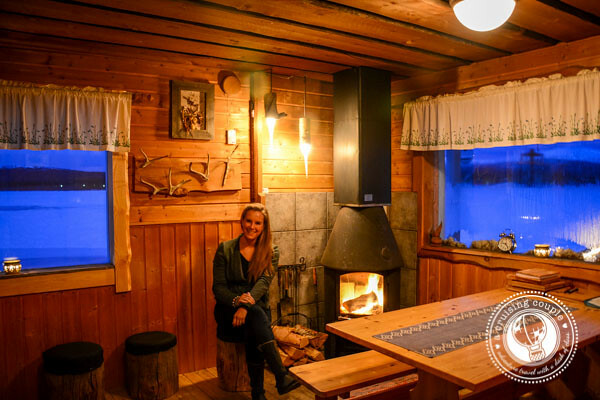 She invited us to her home for dinner, showed us around the town, took us to chop wood, and generally made sure that we got an insider look at the typical Finnish family’s household. To say it was our time with Joanna that made our experience in Yllas would be an understatement. We were in for a bit of a surprise when a representative from the local newspaper showed up to interview us before our snowmobile tour. 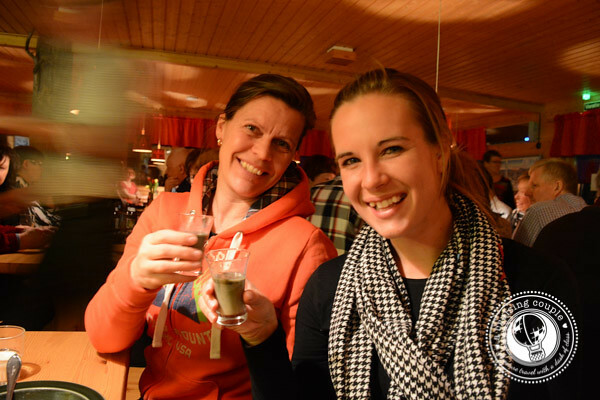 She had heard about our travel blog, and wanted to know more about what we were doing and why we had chosen to visit Yllas. It was kind of fun to pretend to be celebrities even if it was just for a few moments. Yllas has a strong history of arts and crafts, and many locals remain very skilled at handicrafts. There are numerous arts and crafts galleries throughout Akaslompolo. 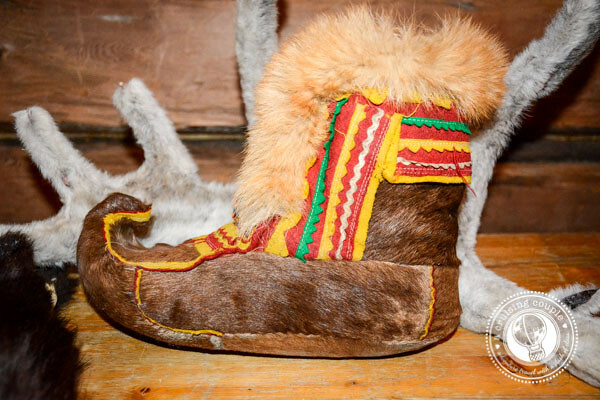 Our favorite pieces were these traditional Sami reindeer shoes. Though it’s an intensive process, if we ever return to Yllas, I will definitely sign up to learn how to make my own pair. Sweat out all your toxins in a steaming, wood-burning sauna. When the heat starts to get to you, go for a skinny dip in the adjacent ice hole. Repeat until your body looses all sensation. What better way to spend an evening? 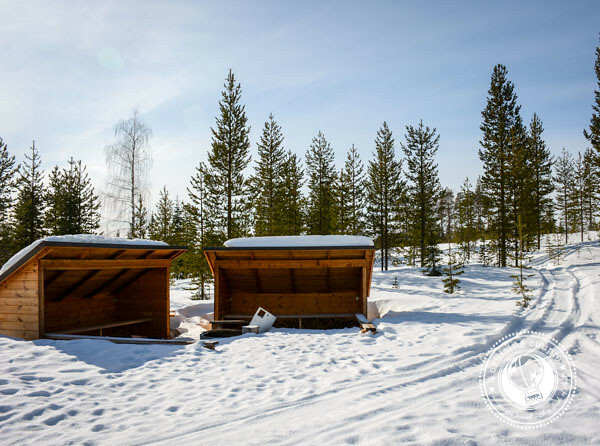 Full blog post on the traditional Finnish saunas coming soon. 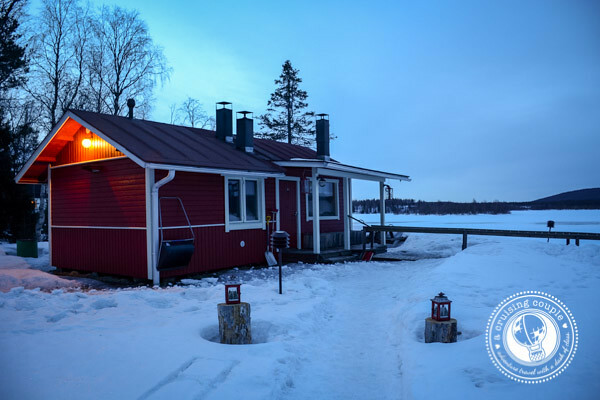 If you want the sauna without the ice hole, you might be interested in Yllas Gondola Sauna. It’s literally a sauna inside of a gondola. Four people at a time can take the twenty minute ride up the mountain, and then wait for their friends in a hot tub at the top. It’s the one and only sauna gondola in the world, which makes it pretty cool. Unfortunately with a price tag of 1500 € per group, we can’t say we experienced it ourselves. Though the area sees many tourists during prime ski season, the town maintains a small and authentic feel. Businesses are family run, often in their third or fourth generation. Everyone knows everyone – and sometimes who everyone’s great grandparents were as well. Finland has a rule called ‘Freedom to Roam’. It allows everyone free access to the wilderness, as well as public campsites and wilderness huts. We love that everyone gets to enjoy the beauty of the surrounding nature. And in Yllas, there’s a lot of it to enjoy. The Scottish Highland cow. Need we say more? This family-run farm is a bit eccentric, but also completely charming. 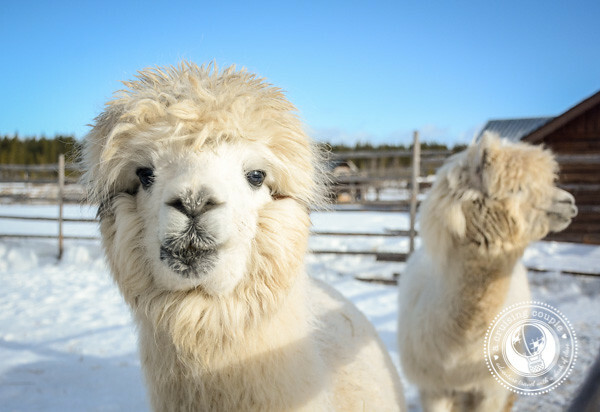 They are host to many surprising animals such as ferrets, chipmunks, llamas, and camels. You can also sign up for horseback riding, sleigh rides, snowmobiles, and more. Yllas is nicknamed ‘Freedom of Seven Fells’ because of the seven fells that surround the area. Whether you’re skiing the fells or just enjoying the view from your cabin, it makes for an absolutely magical area. Have you heard of Yllas before? Does this sound like a place you would like to visit? Thank you to Visit Finland for making our trip to the Yllas possible. As always, all thoughts and opinions are our own. It looks and sounds amazing! It might have to join the hit list for next year! 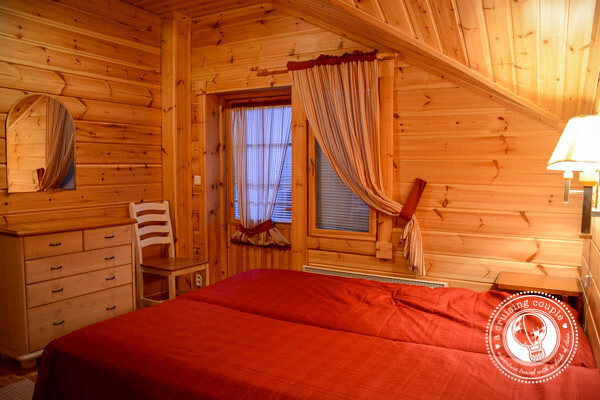 It sounds wonderful, from the skiing, to the snowmobiling, to eating at someone’s house and to end it all with a great sauna…Love it! Haha yes I bet just slightly warmer! Small towns are just so special. I don’t know if I could ever live in one full-time, but I love the community feel you get when visiting. We’re in one now too in the south of France and it’s so cozy! I’ve been skiing in Vuokatti while in Finland, very nice as well! Awesome guys! I was sitting here thinking “wow, another amazing thing to do, scroll down some more, another amazing thing to do….” It was only until the very end that I realized your article was titled “15 ways, etc.” haha. It sounds sooo wild, adventurous and filled with fresh air…it also sounds cold :) Looks like a beautiful place. Too funny that you guys got lost! How cool to be interviewed as well?! I love snowmobiling! It’s one of the few things that are actually great about winter in Canada! I’m so glad you got to give it a try while in Yllas, though it sounds like you might have had a similar experience to when Tony & I went jetskiing in Malaysia… It was fun but scary all at the same time. You guys are definitely living up to your adventure travel moniker, that is for sure! Wow…that’s an awesome post.Been to Helsinki once for 2 days but could not explore Finland as much u did. We didn’t get the chance to visit Helsinki, but we heard it’s a very interesting city. Finland is a surprisingly big and diverse country with loads to do! 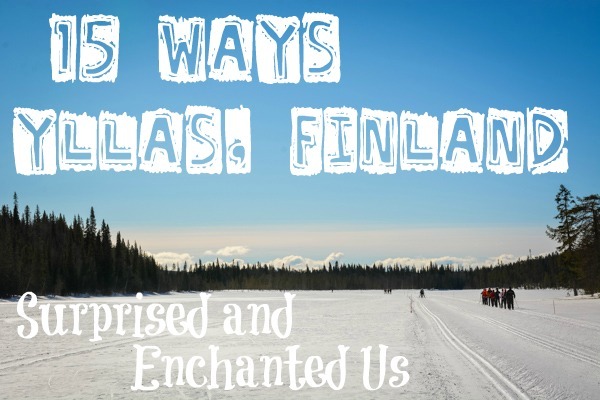 We ADORED Finland and we only made it to the southern cities. The rest of the country looks just amazing! Really beautiful! I hope to make it up there before we go back to Texas. That sauna gondola is going on my bucket list!